In 2013 has been produced boat Leopard 44 named La Pelosa III. This vessel is placed in harbor Victoria in the region: Mahe in Seychelles. You can board up to 8 persons on the sailboat La Pelosa III. Scheme of berths is 8. There are 4 bedrooms situated below she's deck. La Pelosa III has 4 toilettes. Find about more boats by opening this link here: Catamarans Mahe. Diesel tank is 700.00 l l. big , water container has up to 780.00 l l. In this boat there is motor 2x45HP Yanmar Diesel. With 13.71 m of lenght and 7.31 meters of beam La Pelosa III provides enough space for comfortable sailing. Leopard 44 La Pelosa III is equipped with: Air conditioning, Dinghy, Mainsail with lazy jack. . Security caution is 4000.00 EUR. 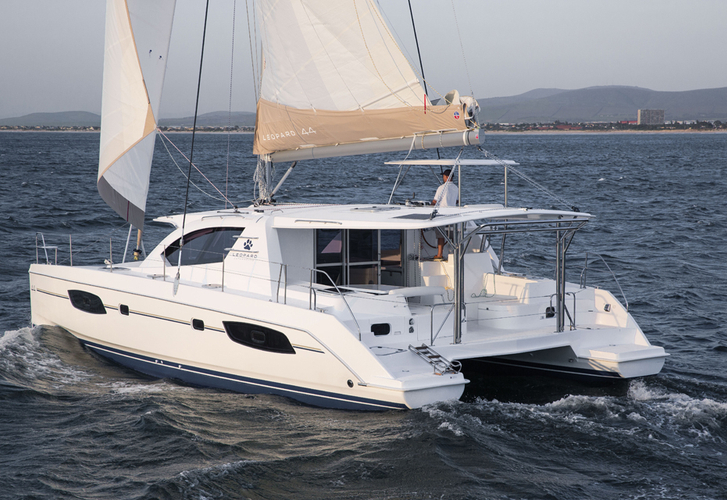 You can get different boats under the link: Catamarans Victoria.